All Black Jericho Rosales in the Very First Issue of Mega Man! 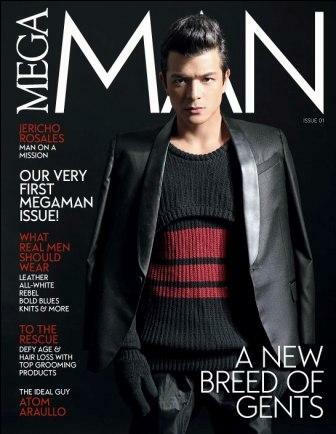 Jericho Rosales is the Buena Mano cover guy of the very first issue of Mega Man Magazine! Yup, this magazine will be the male counterpart of the Mega Magazine. In the said cover which is also the September 2012 issue, Jericho Rosales is wearing an all-black outfit! Aside from Mega Man, Echo is also this month's cover guy of my favorite Men's Health Magazine! Nice one Echo! Keep it up.